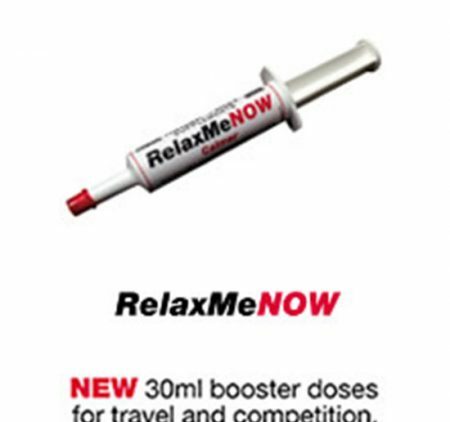 RelaxMeNOW has been developed to offer that boost of RelaxMe when it is needed. 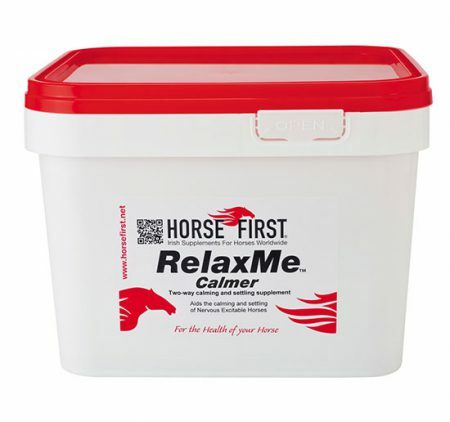 The majority of the time, horses perform well on their normal feeding regime of RelaxMe, however there are many instances when due to competition timetables, i.e. 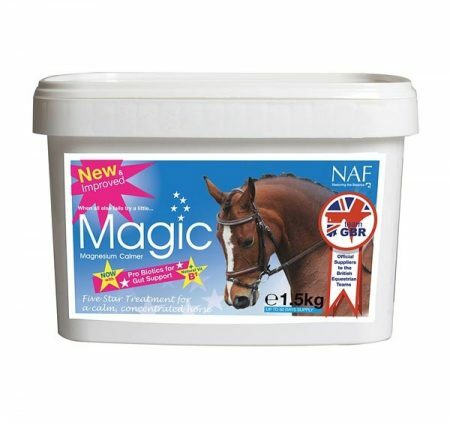 early feeds, travelling, course walking etc. 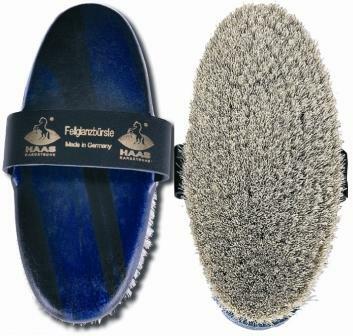 when a boost of RelaxMeNOW, 2 hours prior to the start of competition will really help. 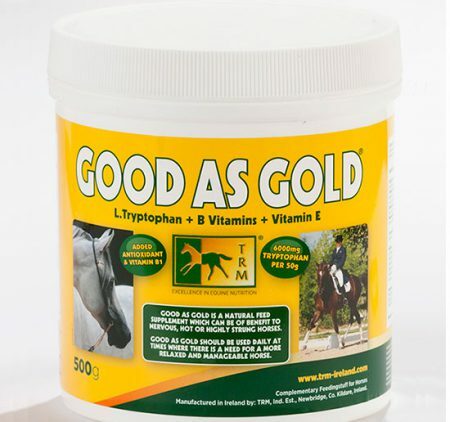 Good as Gold should be fed to nervous, hot or stressed horse. 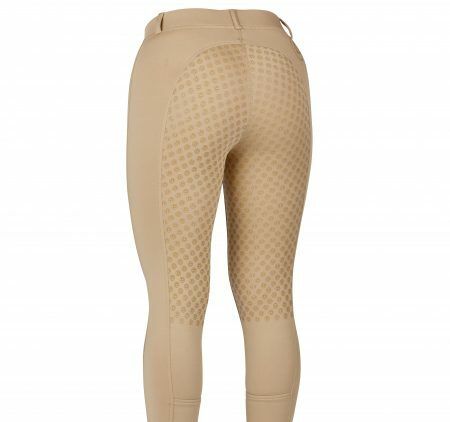 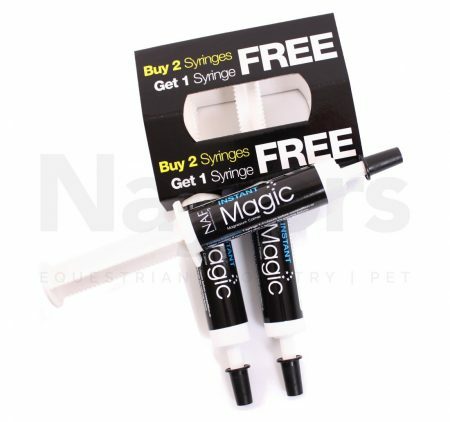 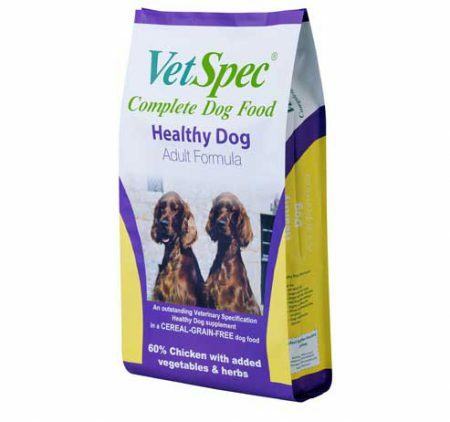 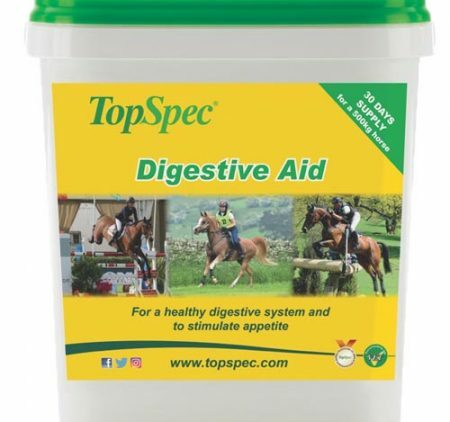 It contains a high concentration of L-Tryptophan, an essential amino acid and Vitamin B1 (Thiamine); as well as the antioxidant Vitamin E. Trainers have noted that after a few days of feeding supplemental levels of these ingredients, horses become more relaxed and attentive. 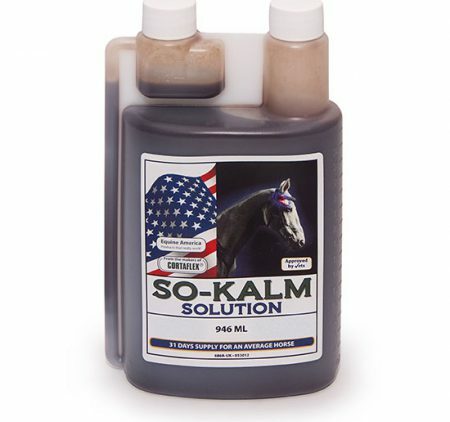 A natural calmer to aid horses in their early stages of training, or horses in their first competition season.So Kalm solution is an ideal product for nervous, anxious or excitable horses and can be used prior to competition. 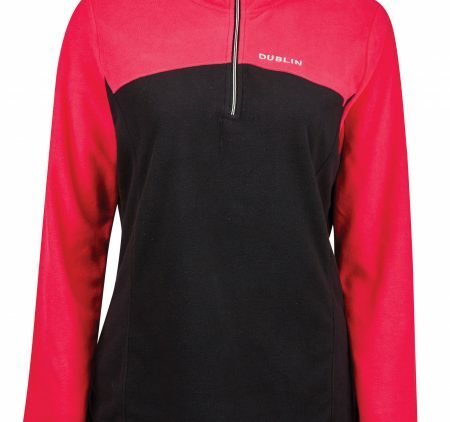 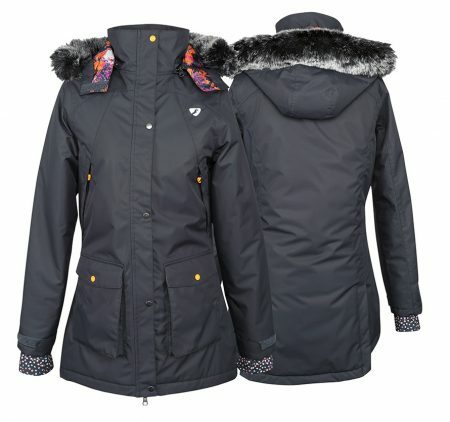 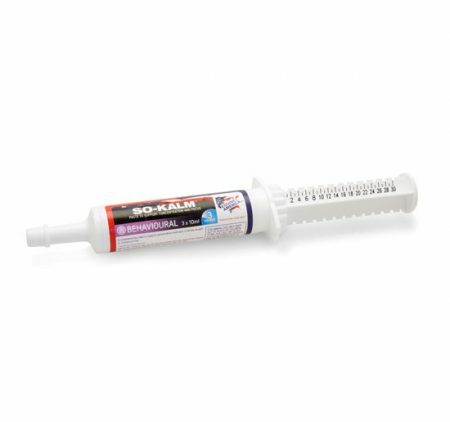 For best results needs to be administered at least 2 hours prior to class or before the adrenaline is running. 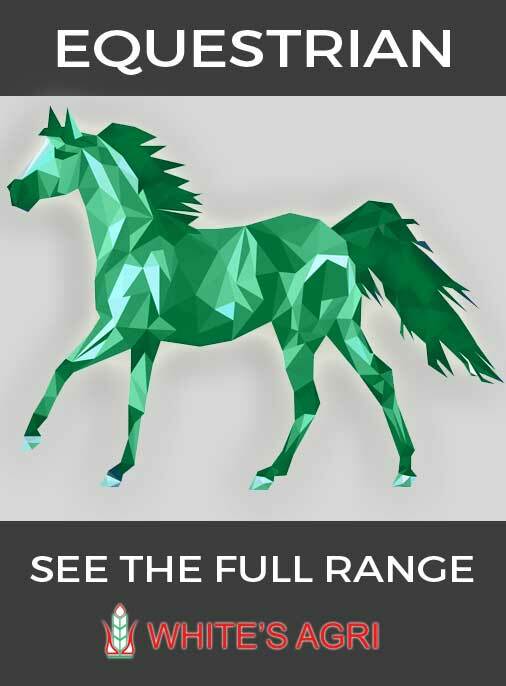 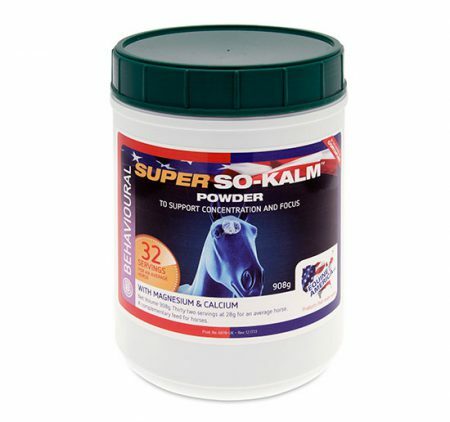 For very young, excitable or overzealous horses, requiring focus, increased concentration and calming, a product from the So-Kalm Plus Range will be more suitable.So-Kalm Plus Paste may also be used as a pre-competition addition alongside Magnitude. 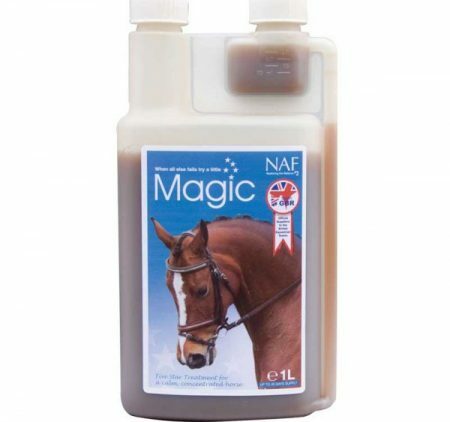 Magic is a magnesium calmer with a difference. 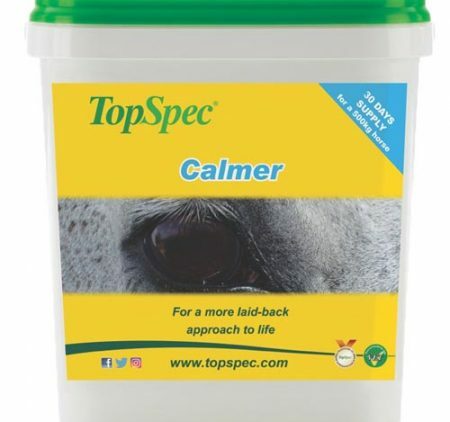 It’s a five star formula that contains a unique combination of herbs and nutrients known to help relax muscle tissue and support concentration. 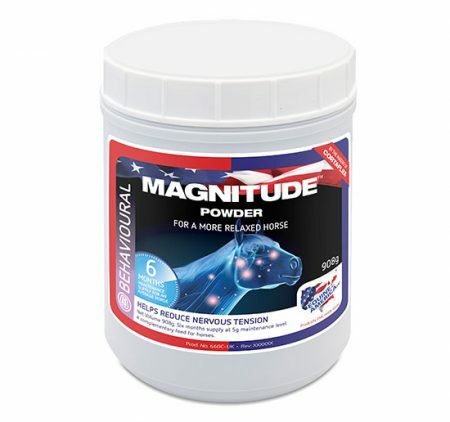 Magnesium is an essential nutrient to a horse’s wellbeing, and among its many roles is the regulation of nervous tension.